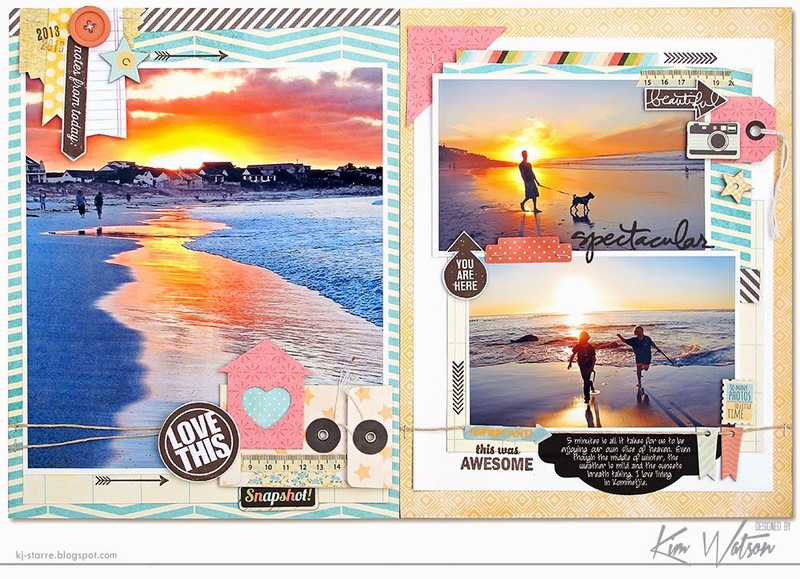 kim watson ★ design ★ papercraft: Scrapbooking your other passions? but not necessarily romance. Instead of focusing on a sweetheart, it focuses on where we live; one of the most beautiful places on earth. 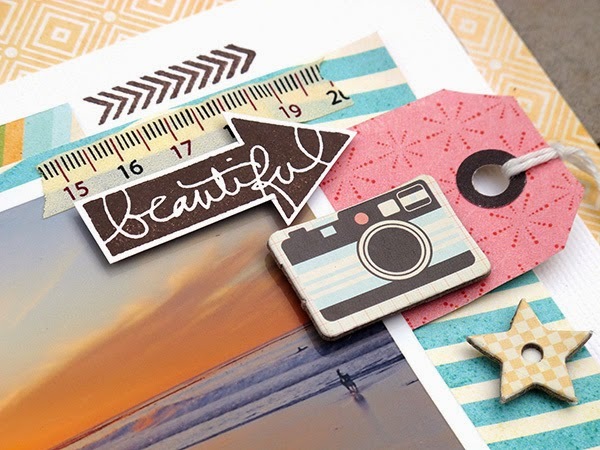 When tackling this article assignment for Papercrafts & Scrapbooking magazine, I found choosing only a few photos from the 100's I have on file, a difficult task. I feel so spoilt at the sheer amount of beauty that surrounds us merely a 5 minutes drive from our house. Our neighborhood has an enormous feeling of space & freedom, having the mountains behind & in front of us, with the Atlantic in between . It makes me happy to wake up every morning, knowing that a moments walk or drive in any direction, and & I can be surrounded by world-class beauty. 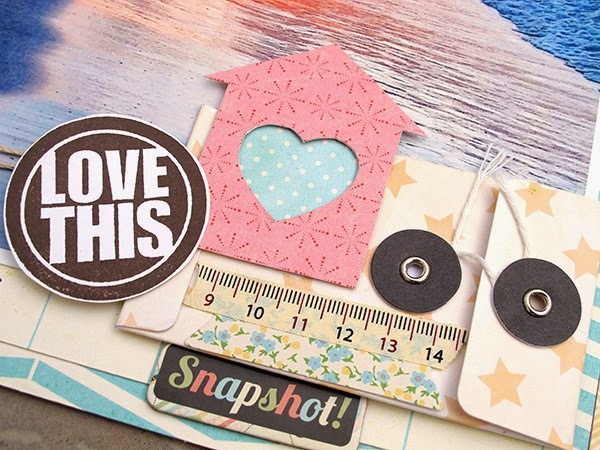 Making the most of a preprinted tag from Elle's Studio with the addition of a big button, chipboard from Fancy Pants Designs & stamps, creating the cutest accent cluster for the corner of the big photo. Adding another accent cluster to the bottom right corner of the large photo, creates movement across the page as well as balance. 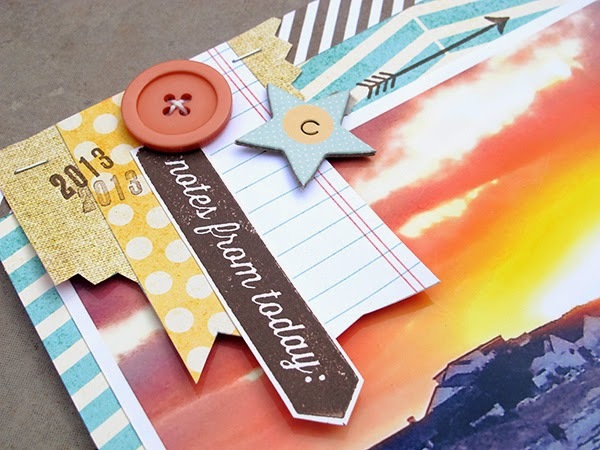 Don't you LOVE that cute stamp from Technique Tuesday?! More layering of accents from the Memories Captured collection from Fancy Pants Designs & stamped images from Technique Tuesday.